The notion of an adult man or woman marrying a child seems so archaic; a practice relegated to the Dark Ages, not 2017. Well, it turns out that child marriages occur much more frequently than you may think, especially in the Lone Star State. Nearly 40,000 minors were married between 2000 and 2014 in Texas, according to Pew Research Center. That translated to Texas having the second-highest rate of child marriage in the country just behind West Virginia. In Texas, approximately seven marriages out of every 1,000 involve a minor between the ages of 15 and 17 getting married. Nationally, the numbers are equally shocking. Across the United States, the average is five marriages out of every 1,000 marriages involves a minor. And many researchers suspect that these numbers are under-reporting the rate of child marriage since the data does not include children who were married when they were younger than age 15 or who were already divorced after getting married as a minor. The Texas Department of State Health Services reports that the vast majority of child marriages involve young, adolescent girls between the ages of 12 and 17 being married off to adult men. Girls who get married at an age younger than 19 are reportedly 50 percent more likely to drop out of high school and four times less likely to finish college, according to Slate.com. If that was not bad enough, the data reveals that girls in this situation suffer much higher rates of psychiatric disorders and physical abuse. In fact, spousal violence is three times higher in child marriages when compared than the average in the United States. The Governor of Texas signed a new law that eliminates the loophole allowing children to get married. The new law prohibits people under the age of18 years from getting married. The only exception is if they are emancipated (i.e. they are legally considered independent). In Texas, a minor can get emancipated at the age of 16, so that is now the youngest age a minor could possibly decide to get married. Before the enactment of this new law, a parent was allowed to overrule the wishes of the other parent and agree to let their 16 year old child get married. Furthermore, the parent could consent to a marriage of a child at any age, as long as a judge signed off on the marriage. Most states have statutes on the books allowing children to get married, under specific circumstances. There have even been instances where states legislatures pushed back against child marriage restrictions. For example, the legislature in New Hampshire decided to vote down a bill that would have raised the legal marriage age to 18. This means girls as young as age 13 and boys as young as age 14 can still get legally married in New Hampshire. It appears an argument in favor of child marriage that carried the day in New Hampshire was that a prohibition would prevent members of the military from getting benefits for their underage partners and disadvantage newborns who were birthed by adolescent girls who were not married. This story is an example of how marriage is not always about two people falling in love and wanting to spend their lives together. There are, unfortunately, circumstances where people may be forced into a marriage or feel compelled to get married. 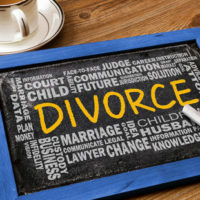 This is why it is important to retain the services of an experienced Houston divorce lawyer to free yourself from a negative environment and failing marriage. The law firm of Lindamood & Robinson, P.C. is here to help.